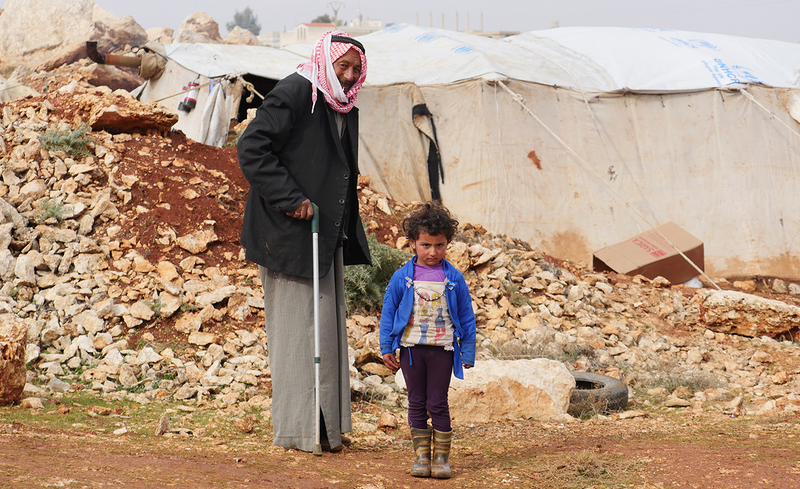 According to recent U.N. reports, there are 13.5 Million Syrians in need of protection and humanitarian assistance. There are 6.3 million Internally Displaced Persons within Syria’s borders. The crisis is worsening by the day. The situation for the Syrian people becomes more desperate by the day as access to food, and medical services and supplies becomes scarce due to deadly armed conflict. Since October 2012, Mercy-USA for Aid and Development’s Syrian relief workers have been providing food aid inside Syria. Currently, we are assisting thousands of displaced and vulnerable families with monthly food baskets, medical care, seasonal food and meat distribution plus heat and shelter in northern Syria. The duties Mercy-USA local aid workers perform are not without risk while distributing this vital food aid in what has essentially become a war zone. Your contribution to this program not only helps the displaced aid recipients, the local aid workers and their families, as well as helping to sustain to the devastated local economy with gainful employment. Your generous charitable gift supports Mercy-USA’s work in Syria.